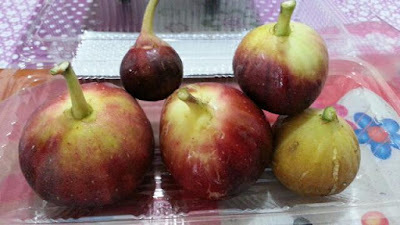 We tasted a few more varieties of fresh fig fruits lately from a local farm. 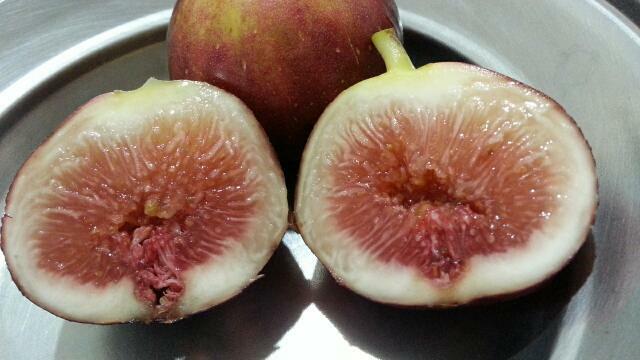 I was trying to get the names of these figs but she has forgotten which trees she plucked them from. Vividly she could remember one of them is TGF (Taiwan Golden Fig). 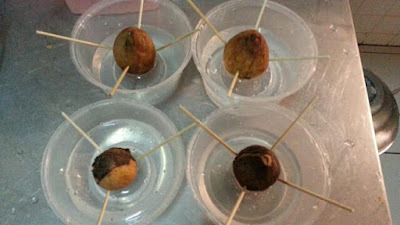 The smallest one is cute and sweet. 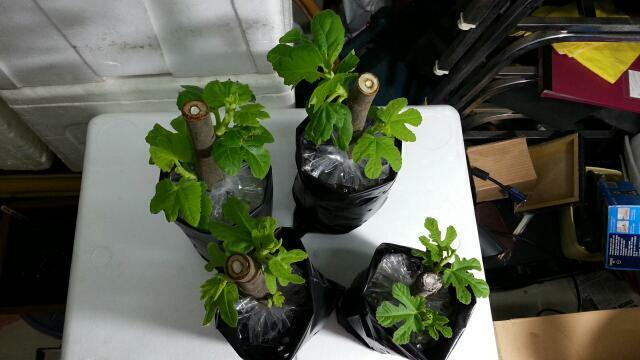 anyone can identify what varieties these figs are ? 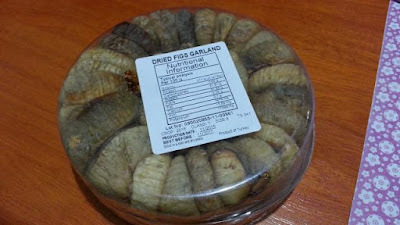 During puasa month and with Ramadan approaching, there are aplenty of dried figs for sale in the supermarket. 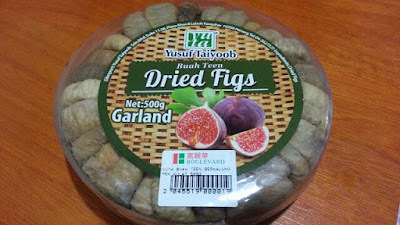 Being first time buying dried figs, I chose the brand that I heard regularly on the radio, Yusuf Taiyoob. We have counted, there are 38 pieces of dried figs compactly packed in this round plastic container. I really love the texture of these dried figs, not overly sweet. I can have 4-5 pieces in a day as snack. 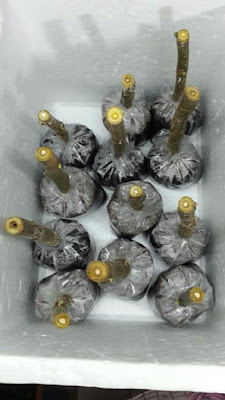 Although my girls much prefer the fresh ones but they do not mind having one or two the dried ones while waiting for our home grown fig trees to bear fruits in 3-4 months time..hopefully earlier. Awaken by a phone call from my brother. 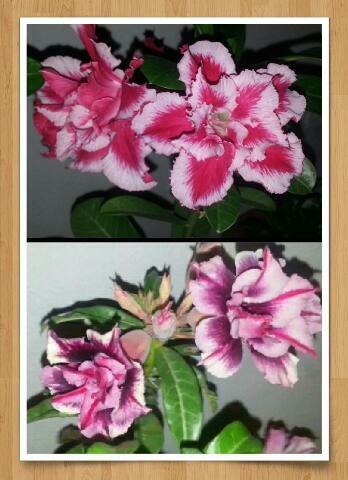 Oppss...it's already 8.30am..no worries, it's a Saturday & still school holiday. Had our relaxing breakfast at home, kids will be back to school next week. 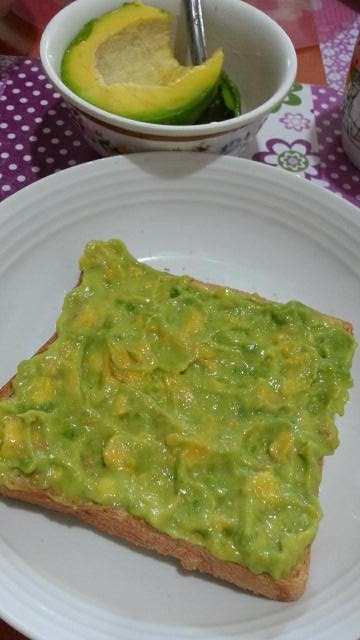 My girl helped to spread avocado with milk on a slice of bread for me with her leftover avocado (her breakfast for today, obviously not used to taking fruits as breakfast :D). It's just feel so nice to have my little girl preparing something for me. She prepared sandwich lunch for me too on my request because I am down to cough & flu. 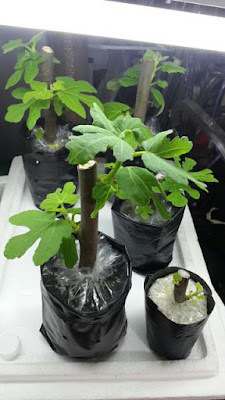 After breakfast, I went checking on my flowers, the progress of my tomatoes seedlings, french beans seedling, if any (still no way to be found) and my kale plant. 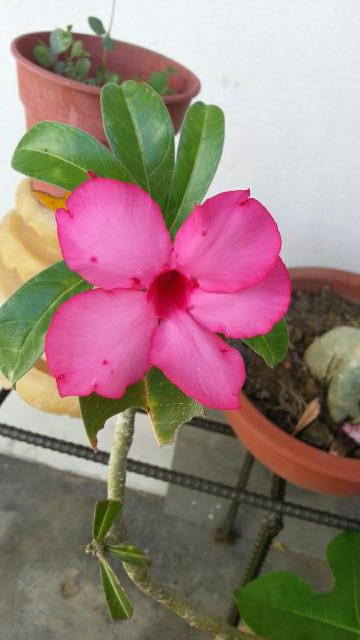 Finally, this single petals desert rose is blooming. 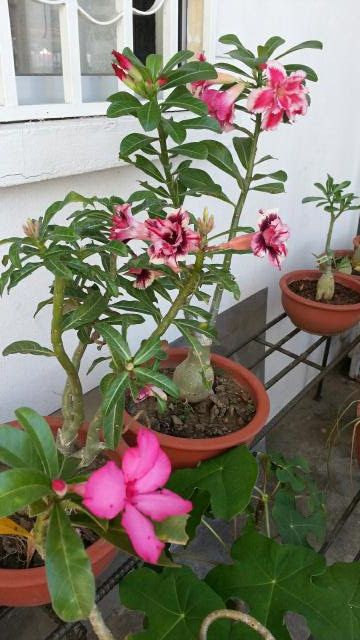 I took a picture of the three types of blooming desert roses at the front porch..I bought 3 more varieties of desert roses from the tamu last week, as you can see one of them is at the right side. 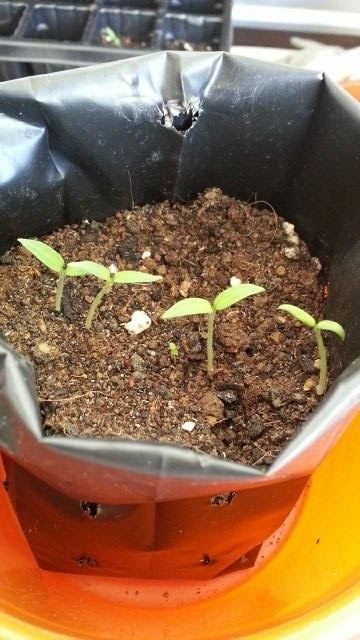 Here is the tomatoes seedlings, growing very slowly but at least germinated about a week after planting the seeds. one more, looking weak hopefully it will become stronger in the coming days. my kale plant that I bought from the tamu for RM8.00. 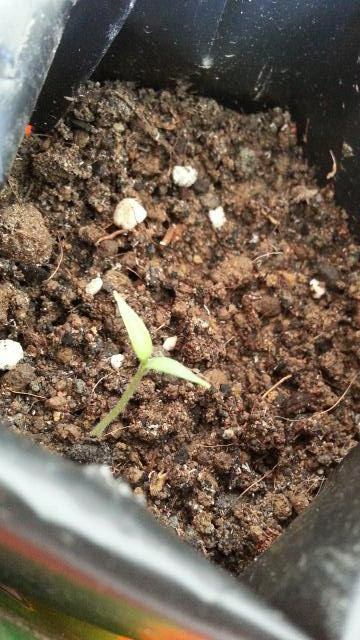 It was in a poly bag, we re-potted it here. 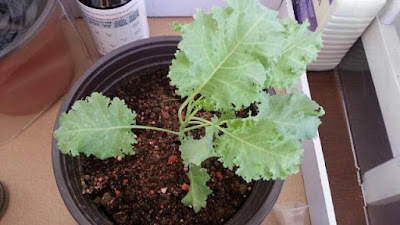 I just learnt that Kale is very good for health. I intend to add more herbs plants into my collections and start to learn how to "eat" them since they posses great nutritional values. We are working on a planting project at our home, will update it here soon. 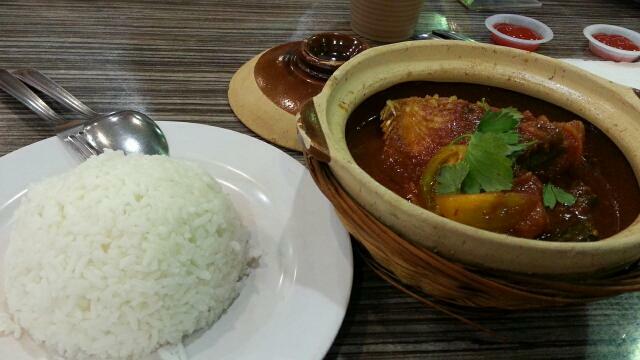 It's been ages since we last dined at Sugar Bun. 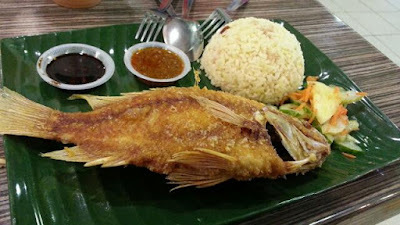 The whole fish set meal is the one attracted my better half to try its meals again. 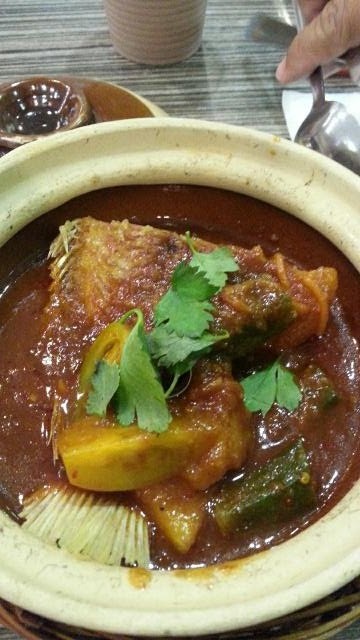 I could hardly find serving of the whole fish like this in other restaurants. I opted for something spicy this time, I think is the asam fish set meal. 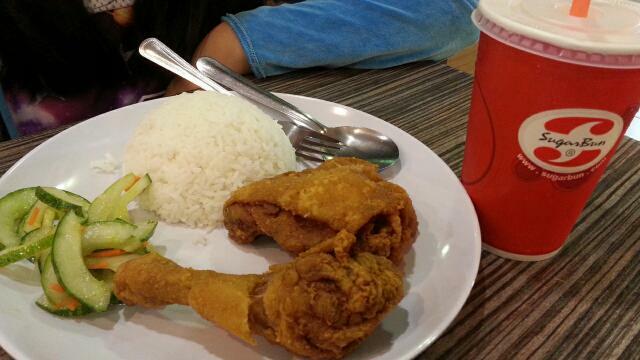 My kids chose the soupy rice and fried chicken set meals. The soupy rice came pretty late because the kitchen has forgotten our order, my kid went straight to her meal before I even have the chance to take a photo. Overall we are happy with our meals there..the absence minded kitchen staff is a set back.